Textured popcorn ceiling patterns used to be all the rage back when oak cabinets were still considered modern and microwave ovens were sitting on their own stands in the kitchen. But just like cabinets and microwaves, design concepts and trends have changed dramatically over the past two decades. So if you have popcorn ceilings that are driving you mad, chances are, your tastes have changed along with everyone else’s. Fortunately, you have two sensible options for removing a popcorn ceiling, both of which are economical in price and efficacy. Continue reading to learn the 4 basic steps for removing popcorn ceilings, as well as, what you can do if DIY drywall is not something you have time or energy for. ASBESTOS WARNING: Spray-on acoustic ceiling finishes (including textured popcorn ceilings) that were manufactured before 1980 might possibly contain asbestos, which is a known carcinogen. If your ceilings fall within this time frame, have it tested for asbestos before getting started on your project. Covering your face, scrap a small piece from your ceiling and seal it in a container or plastic bag. Then drop off the sample at the local EPA office to have it tested for asbestos. If your ceiling is contaminated, you will need to contact a licensed asbestos abatement company for the job. Get your work area set up. Clear out anything of value or that will be in your way, such as furniture and décor. Then continue by laying down your floor tarps and canvases to protect your flooring. Finish by taping your lightweight plastic sheeting to the surrounding walls to protect them from dirt and damage. Your next step is to determine if your ceilings are painted or not. If they are painted, water will not absorb well into them, making the scraping process much harder and monumentally messier. In this case, you would do better to use a chemical paint remover rather than water. If your ceilings are NOT painted over, combine 4 cups of HOT water with 1 tablespoon liquid fabric softener inside a plastic spray bottle. The fabric softener will help reduce the rate of evaporation, keeping your ceilings soaked while you work. Then, use your ladder to access the ceiling space and generously spray the surface with your solution. Allow the water to soak in for 10 minutes, and then spray the surface again. Wait another 10 minutes, and then move onto the next step. It is time to start scraping off all of the saturated drywall material. Keep in mind, this will be messy, so just set your stress aside until it is time to clean up. Be sure to hold your drywall knife at a very light angle so that you do not puncture the ceiling. 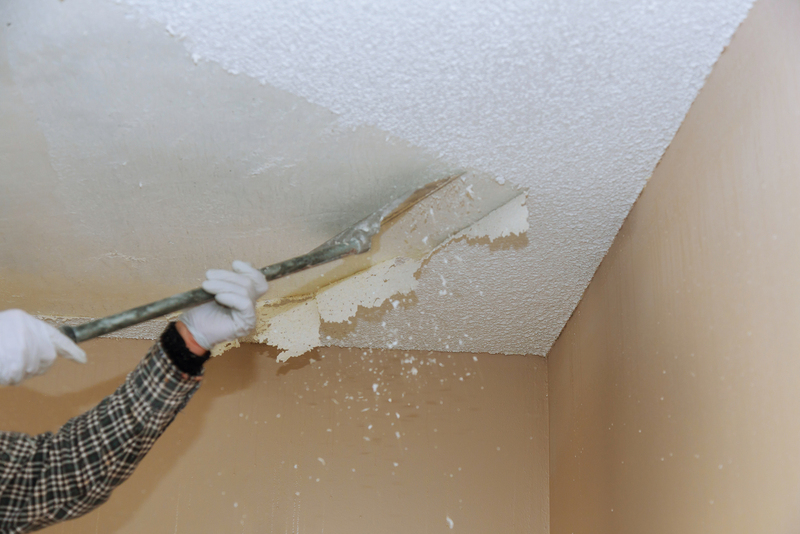 If you have a popcorn ceiling scraper, you can use it instead of a drywall knife. Try attaching it to a broom handle and tie a plastic bag around the tip so that it catches material in the bag while you scrape! Before you actually begin priming and painting your freshly-scraped ceiling, sweep up all of the debris, but leave the tarps and sheeting in place. Now you can fill in any holes or dents with joint compound, and sand the surface flat when it dries. When your ceilings are back to basic, you can prime them and paint them any way you like! Is the Job Too Tough? IF the whole project seems too tough to tackle on your own, just call Drywall by Local Builders at 317-269-7319 for Indianapolis drywall service you can afford! We are experienced drywall contractors who offer a wide range of residential and commercial drywall service, including repair, replacement, installation, new home construction, metal stud framing, custom drywall texture, grid ceilings, and much more. Call 317-269-7319 to request a free estimate, today. Your search for reliable drywall work is over! You will get professional drywall installation and repair at a competitive price when you call Drywall by Local Builders in Indiana! Drywall By Local Builders is Your Solution! 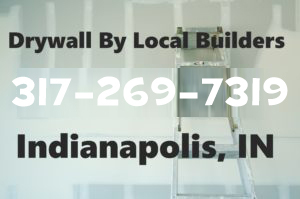 Here at Drywall By Local Builders, we are a locally owned and operated drywall company based out of Indianapolis, Indiana. Our highly-trained drywall contractors are licensed, insured, and bonded, with more than a decade of hands-on experience in the industry. We offer a wide range of drywall services for both residential and commercial properties, but for municipal and governmental properties as well! Drywall by Local Builders is fully-equipped and staffed to manage any drywall project, regardless of size or scope. We are proficient in everything drywall, from simple drywall installation and repair, to major work like new construction homes, grid ceilings, metal stud framing, custom drywall textures, remodels, basements, and more! At Drywall by Local Builders, you can expect a prompt hello and a warm greeting. We are true industry professionals who are always eager to answer all of your drywall questions! Request a free estimate, information, or referrals, anytime! Just take a look below at all the reasons why you should choose us for your commercial drywall needs! Call the Drywall by Local Builders office today at 317-269-7319 to speak with a licensed Indianapolis drywall contractor about your property remodeling and renovation needs. Trust us for outstanding results at a competitive price! So pick up the phone and request your free estimate, today. If you discover walls in your new home that were originally wallpapered, and then later painted over, you are probably looking for the fastest way to undo these outdated renovations. However, there is no real “quick fix” or secret method behind removing painted wallpaper; it simply takes a lot of time, effort, and materials, especially compared to a traditional wallpapered wall. Furthermore, if your wallpapered wall is covered in several layers of paint, the best option is to simply replace the drywall altogether. If this is not an option for you, continue reading to learn the best practice for removing painted-over wallpaper. Using medium pressure, score the outer layer on the wall with the paper scoring tool. Too much pressure can damage the wall so take your time on this part. You may also use a thick-bristled wire brush, or both. Choose the tool that you are more comfortable using and that produces the most results. Once you have scored the paint, spray on your wallpaper stripper solution, focusing on small sections at a time. Then allow the solution to soak into the wall for a few minutes. Spraying too much solution on at once can damage the wall, so don’t be too generous with the spray bottle. If you do not wish to use a commercial wallpaper stripper solutions, you can mix water, vinegar, and liquid fabric softener into a plastic spray bottle instead. After the solution has soaked into the wall for a few minutes, grab your 3-in-1 scraper tool (available at any local hardware or home improvement store for a low cost), and start with the sharpest edge. Get underneath the painted wallpaper and work slowly to scrape it away. Scraping in alternate directions will help expedite the effects. Expect this process to take several hours, or even days depending on the drywall or plaster used, the type of wallpaper adhesive, the square footage of the wall, the extent of paint on top of the wallpaper, and much more. After an abundant amount of dedication, patience, and effort, you will eventually get it all! Call Drywall by Local Builders at 317-269-7319 when you need professional drywall service in Indianapolis, Indiana. We are a licensed, bonded, and insured drywall company that provides residential and commercial drywall work at competitive prices. Call 317-269-7319 to request a free estimate, today. 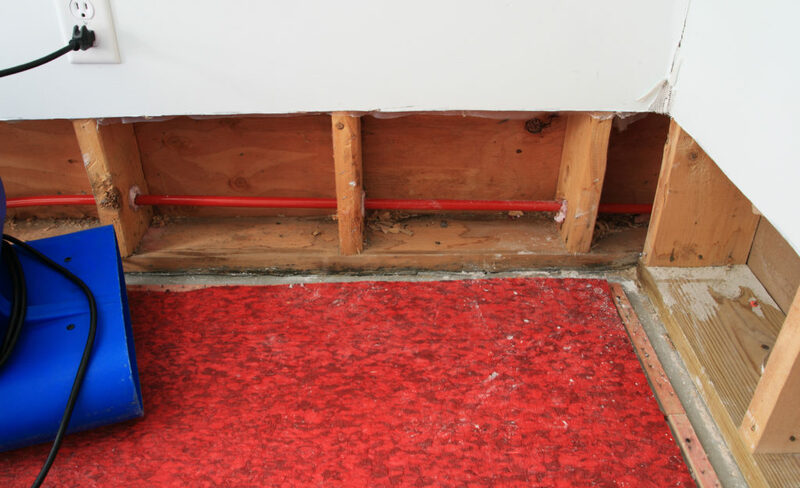 When you have a major flood or water leak inside your property, you can be sure you’ll have damaged drywall as well. Soaked or soggy drywall should be removed immediately, before mold and mildew can develop. But before you decide to take on the project yourself, it may be wise to review the basic steps you can expect the process to involve. This insight may convince you that drywall removal and installation is best left in the hands of trained and equipped professionals. Continue reading to review the 10 basic steps for removing soaked drywall, as well as, who to trust to get the job done right, and at a fair price. The steps for removing water-damaged, soggy drywall are quite comprehensive and detailed. Furthermore, they ebb and flow depending on certain conditions and circumstances, both foreseen and unexpected. However, below are the basic, “skeletal steps”, so to say, for taking out soaked drywall. These will give you an idea of what the project will entail and to what extent. In order to learn how to remove water-damaged drywall exactly, you will need to do your research or consult a professional for advice. In the first step, you will do all of your project area preparations, including placing down plastic protective floor tarps. These will make cleanup much easier, and protect floors from a big mess or irreversible damage. In this step, you will need to locate the highest point reached by the water. This water line is where you will base your cut marks on. Cut marks should be made 6 to 12 inches above the water line using a laser level. Now you are ready to make the actual cuts, following along your original markings from the previous step. You will do this using a very sharp utility knife that is specially designed for drywall, gypsum board work. In this step, you can look forward to puncturing a hole in the drywall using a framing hammer. The hole should be made in a center section of the damaged drywall, below the cut line, and between two wall studs. Furthermore, it should be large enough to fit your hand through to the other side. In this step, you will have to first remove the baseboards and electrical outlet plate covers, if any. Once this is done, you will have to reach inside the hole you made (hopefully wearing work gloves) and pull on the drywall until it comes loose from the wall studs. Then you will need to use a flat bar, hammer, or flat-nosed shovel to pry it the rest of the away off. In this step, you’ll need to assess the moisture level of the exterior walls, as well as, the inner insulation. You need to remove all the drywall up to where the insulation is dry. So if you still feel damp insulation or drywall, you’ll need to go back step 2. Keep in mind, if any electrical cables, outlets, or outlet boxes have to be removed and replaced, you must hire a licensed electrician. Drywall won’t be the only component that is soggy and water-soaked. You will also need to remove wet fiberglass insulation in this step, as well as, the drywall screws, nails, and anything else that is affected by water or that will be trashed. When you have cut all the soggy drywall out and removed the wet insulation, you will have quite the mess on your hands. In this step, you can look forward to carrying all the debris and scrap drywall out to the appointed dumpster or truck that will eventually take it to a landfill. Even after taking out all the wet, damaged components of drywall, you will still have to air it all out and ventilate the affected areas. High-powered construction floor fans are needed for the job, which will speed up evaporation of moisture, and prevent condensation and mold growth. Of course, you don’t want gaping holes or missing walls in your home; so you will need to replace the damaged drywall with new material. In addition to drywall installation, you will also have to prime, sand, and paint all over again. As you can see, the process of removing soggy drywall is tedious and exhausting. This is why it is best left to trained professionals who are fully-equipped for the job! Call Drywall by Local Builders at 317-269-7319 for Indianapolis drywall repair and installation service. We are experienced drywall contractors who offer a wide range of residential and commercial drywall service, including repair, replacement, installation, new home construction, metal stud framing, custom drywall texture, grid ceilings, and much more. Call 317-269-7319 to request a free estimate, today. It’s not until we are older, wiser, and well, financially responsible for our own homes, that finding wall studs prior to hanging décor becomes a priority. No more do we use wall tacks for pictures, or blindly bang nails into drywall. Now that we are accountable homeowners, we make sure to locate wall studs for all our wall handing and decorating needs. Locating wall studs is not something to be nervous about. There are several effective methods for finding wall studs fast and with ease. To make the process more accurate, it is recommended to use a stud locating device. Some of the most innovative technologies in stud finding can be found online or at your local home improvement stores! 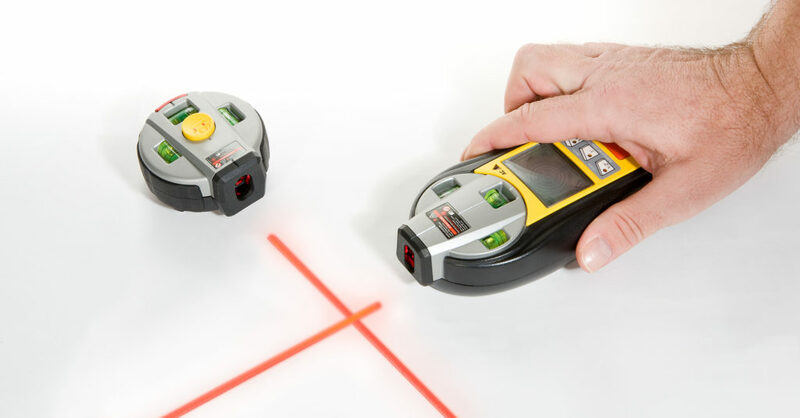 Continue reading for some top-rated electronic wall stud finders on the market, including how much they cost and where to buy them. Electronic stud finders come in a variety of brands, which range in price, model, size, and overall quality. It is important to read customer reviews, being careful to weed out the fake ones, in order to find a reliable and well-liked device. Some popular retailers to consider include Amazon, Lowes, Home Depot, and even your neighborhood hardware or home improvement store. For some help, below are some top-rated and affordable electronic stud finders we recommend for you! Need Help With Drywall Repairs in Indianapolis? 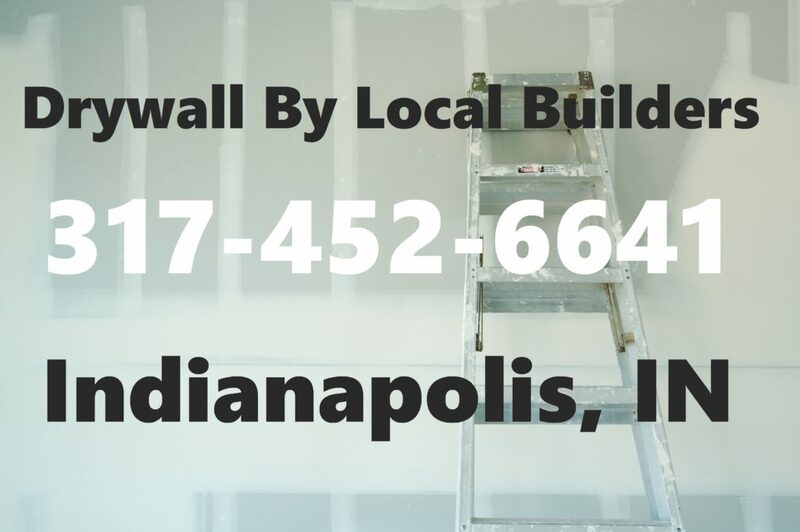 Call Drywall by Local Builders at 317-269-7319 to request a free estimate for drywall repair and service in Indianapolis, Indiana. 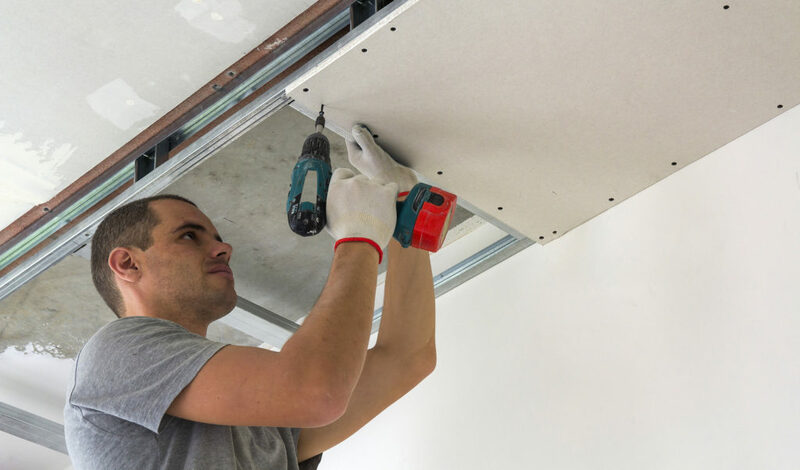 We offer a wide range of drywall services, for both residential and commercial properties, including new construction homes, remodels, repairs, metal stud framing, ceiling grids, and of course, moulding installation. Request a free estimate, today. When drywall does not look or perform the way it should, it usually boils down to improper installation. Drywall installation is the key to longevity and appeal, making the decision of hiring a drywall contractor a serious one. 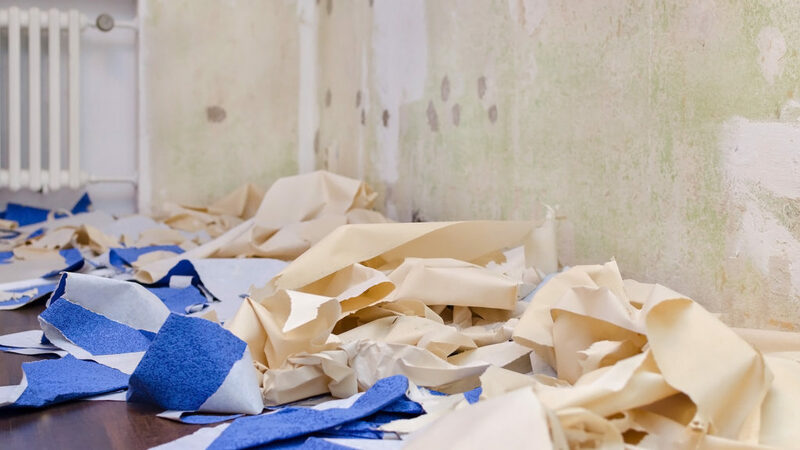 If you are on the market for a new property, or perhaps have already purchased a new place, you may want to learn what improper drywall installation looks like. Spotting drywall problems early on can save you loads of money down the line. Continue reading to learn the most common consequences of incorrect or poor drywall installation, as well as, who to call for drywall repair near you. If you have ever witnessed drywall being cut and installed, you know that the process is extremely messy. This is especially true when it comes to the finishing portion of the job, which is even messier if done improperly. The amount of dust and debris produced by drywall cutting, finishing, and overall installation, is massive, and can spread through vents and air ducts, and travel into the living quarters of the home. Not only is the cleanup a hassle, the inhalation of drywall dust and debris can be harmful, especially to young children and those with suppressed immune systems. You must hire a qualified drywall company that is equipped with the proper materials, equipment, and knowledge of technique, to abate dust and debris. If drywall finishing is not done properly, not only will it cause a massive amount of harmful dust and debris, it will also be uneven and look terrible. If you notice that certain areas of wall look lumpy, uneven, or off in anyway, it could be due to improper drywall finishing. Take a closer look at corners and edges of the walls too; if they are not taped and finished properly at the time of installation, these areas can appear uneven as well. To make matters worse, you may think that covering these imperfections with primer and paint will solve the problem, but the truth is, these mistakes are challenging to fix. If you see areas on the wall that are cracked, splitting, breaking off, or fractured, you can chalk it up to poor installation. This applies to ceilings too. Although this could also be a result of the property’s foundation shifting or settling, most often, improper drywall taping and finishing are mostly to blame. Corners, edges, and seams are commonly affected areas to watch out for. Drywall blemishes like these can show up right after installation, or even years down the road. You would need to talk to a qualified drywall contractor for advice on the best strategies to remedy drywall cracking and breaking. Call Drywall by Local Builders at 317-269-7319 for affordable Indianapolis drywall repair and installation services you can trust. We service all of Central Indiana, as well as the Metro Indy areas. We offer a wide range of residential and commercial drywall services, including new home construction, grid ceilings, metal stud framing, and more. If you have a small hole in your wall, you likely want a fast and affordable solution. Aluminum screen wall patches are a product that can make this happen. Continue reading to learn more about aluminum mesh patches for drywall, as well as, additional materials you may need for your drywall repair project. Traditionally, repairing a hole in the wall requires you to cut out a square around the hole, install a wood panel backing, cut out a patch of drywall, screw it in, tape it up, mud it, cure it, sand it, and more. This tedious process, although full-proof, is time-consuming and requires a lot of materials. Alternatively, you could use aluminum screen patches for easier project completion, and still get the same results. Aluminum mesh patches are an abundant drywall installation product available at any hardware, home improvement, or paint store. They are inexpensive, ranging in price between $1 and $5, depending on retailer, brand, and size. Generally, they come in 4 inch, 6 inch and 8 inch squares, which are large enough to cover a hole, but thin enough to be rendered indistinguishable with tape and mud. First, you will need to choose a mesh patch that is large enough to cover the hole, with an inch of material to spare on all sides. Start by cleaning off the edges of the wall around the inside of the hole. Then position your aluminum patch over the hole, sticky side down, so that one inch of patch is overlapping on each side. Press down firmly, to ensure the patch adheres to the wall. Now just apply the drywall compound using your trowel. You want to spread this first coat thin enough so that you can see the outline of the mesh screen. Allow it to dry overnight, then add a second coat of drywall compound wider than the first coat. Allow this second coat to dry, and then repeat for a third time, spreading the compound out 8 to 12 inches past the outline of the mesh screen in all directions. After the third layer of compound dries, sand it down to match the surface level of the wall. Then just prime and paint as usual! Call Drywall by Local Builders at 317-269-7319 for professional drywall repair in Indianapolis, Indiana. We are licensed, bonded, and insured drywall contractors with over 10 years of experience in the industry. Our drywall services include installation, repair, replacement, new construction, metal stud framing, remodels, and more. Request a free estimate, today. Whether you are refinishing your basement, or simply need to fix a hole in the wall, drywall repair is not simple feat. It requires an ample amount of forethought, preparation, and in best case scenarios, experience. If you are planning on undertaking a drywall project but have little to no experience, you are likely filled with questions regarding the process, materials, best practices, and more. To help get you started on the right track, review some frequently asked questions about hanging up drywall. This can give you the confidence you need to get the job done, or at least pick up the phone to hire a professional. Continue below to get started! Why Do I Need Drywall Tape? Drywall tape has but one simple purpose, but it is a highly imperative one. It is used to make the drywall seams invisible. Without drywall tape, you will be able to see where each sheet of drywall connects, which is an eyesore. Do not skip the drywall tape, or you will regret it when the job is done! Do I Need Sheetrock or Drywall? Do you use cotton swabs, tissues, and adhesive bandages? These are commonly referred to as “Cutips®, Kleenex®, and Band-Aids®”, which are all actually brand names rather than item descriptions. The same principle applies to sheetrock and drywall. They are the same thing, with Sheetrock being a brand name like “Band-Aids®”, and drywall being the actual material description. What Will I Need to Fix a Hole in the Wall? To fix a small hole in the wall, you will need a long list of materials. These include, but are not limited to, drywall metal patch (for medium holes), painter’s putty, putty knife, blade knife, drywall compound, fine grain sanding blocks, trowel, cloth rag, paint, and a paint roller/brush. For larger holes, you will need more material. See our blog, “Common Drywall Supplies and What They Do” to learn more. What is the Difference between Drywall Spackle and Joint Compound? Should I Hang Drywall Horizontally or Vertically? This is actually a very common question among novice handymen. The answer depends on certain factors. Commercial properties must hang drywall vertically to be compliant with fire codes. In contrast, it is normal practice to and drywall horizontally in residential properties. In fact, walls that are 9 feet or higher benefit from horizontal drywall installation, including less seams, hidden uneven studs, easier finishing, and more. Where Can I Find Trusted Drywall Repair? Call Drywall by Local Builders at 317-269-7319 to request a free estimate for drywall repair in Indianapolis, Indiana. We offer a wide range of drywall services, for both residential and commercial properties, including new construction homes, remodels, repairs, metal stud framing, ceiling grids, and more. Request a free estimate, today. Whether you live in an apartment, condo, or duplex, it is almost certain that you have a shared wall. A shared wall, also known as a party wall or demising wall, is any wall that is also a wall in another unit within your community. Now, whether or not that particular unit is occupied plays a major role in how you prioritize drywall crack repairs. If you do not have a shared wall, or the unit on the other side is vacant, you may not be in a hurry to repair any cracks in it; but you really should be. 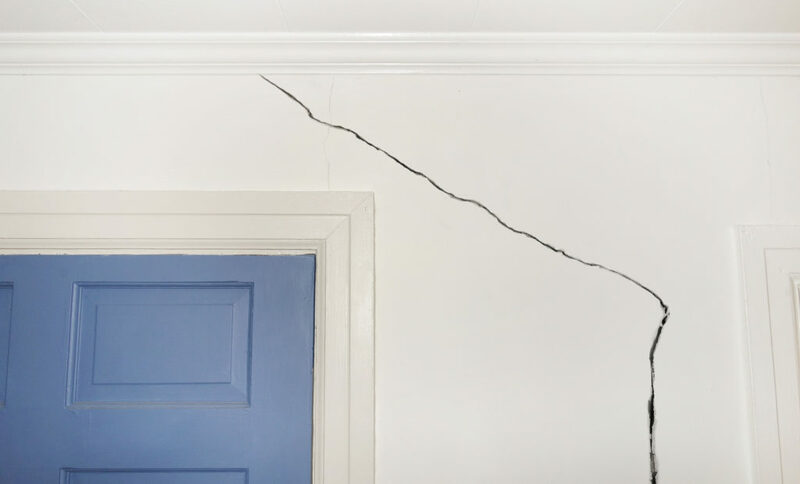 Regardless of what’s on (or not on) the other side of your shared wall, drywall crack repair should be a top priority. Continue reading to learn all the reasons why. If you do have a shared wall with an occupied unit, you might hear them from time to time. Depending on the quality of the drywall and installation, sounds like the television, stereo, dinner conversation, stair traffic, and more, can easily penetrate through to the other side. Even with good installation and product, sounds can still penetrate to a degree. Now add in some drywall cracks, and the sounds can seep through even more. This is just one reason why prompt drywall crack repair is so important to your indoor comfort. As if noise wasn’t enough, it gets worse. Because sounds are not the only thing that can seep through drywall. Odors are another threat, especially for walls with drywall cracks. If you neglect to repair drywall cracks on a shared wall with an occupied unit, you risk stomaching any smells that are produced on the other side. Odors from cooking, pets, candles, chemicals, garbage, and more can seep through drywall cracks and into your home. Another important factor with shared walls and drywall cracks is fire damage. If a fire breaks out in the connecting unit, drywall cracks on shared walls can allow smoke, soot, odor, and even flames, to come through. Depending on code requirements, a shared wall in good condition can even help prevent the spread of fire by preventing oxygen from next door from feeding the fire. Whether you are making some minor drywall repairs, or hanging a heavy mirror overlooking the dining room table, it is necessary to know where those hidden wall studs are located. Why? Well, there are many reasons that make wall studs an imperative component in your home’s structural makeup. Continue reading to learn what you need to know about drywall studs, including some fantastic home hacks to locating them without using any equipment. The primary purpose of walls studs is to hold up drywall on interior walls, as well as, wood sheathing on exterior walls. This is good news for you, and the first trick to locating wall studs, because it means that you can always count on finding a stud at the top, bottom, or corners of walls. Furthermore, it is good to know that the average spacing used for wall studs is 16 inches on center, and seldom greater than 24 inches on center. In fact, the actual lumber dimensions of 2×4 wall studs are 1.5 inches by 3.5 inches. Look at the trim in the room to determine where those wall studs are hiding. Trim is generally nailed to wall studs, so you can confidently assume that a wall stud exists behind the nailed parts of crown molding, base boards, and shoe molding. Most of the time, electrical boxes are connected to one side of a wall stud. So if you can locate any nearby light switches or electrical outlets, you will likely find wall studs too. At least one side of a switch or outlet will be connected to a wall stud. If your room has a window, you are really in luck. Wall studs are present on both sides of windows. You can perform a knock test to determine where the support is, or use the 16” on center measuring approach to determine where the studs are located. As mentioned, you can determine the location of wall studs by measuring from the corner of the room. If wall studs are typically 16” on center, you can use this as a basis to begin your search. 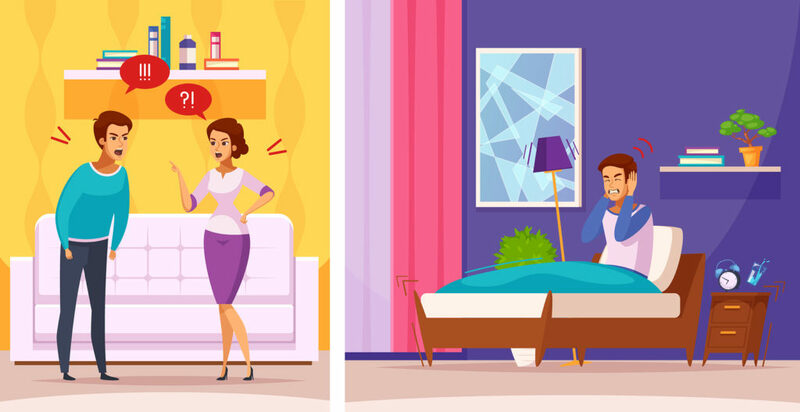 Keep in mind that not all rooms are perfectly divisible by 16, so it is likely for a stud to be less than 16 inches from one corner of the room. Contact Our Indianapolis Drywall Contractors Today! Call Drywall by Local Builders at 317-269-7319 for professional drywall repair in Indianapolis, Indiana and its surrounding areas. We provide residential and commercial drywall repair at competitive prices. Trust us for outstanding results at a competitive price! Request a free estimate, today.